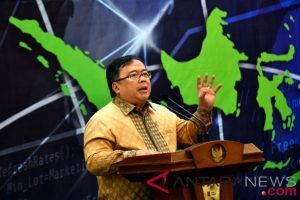 Jakarta (ANTARA News) – The National Development Planning Agency (Bappenas) has set itself a target of completing a roadmap for the development of sharia-compliant economy in the country at the end of this year. “We want to complete it as soon as possible. Hopefully, it would be ready at the end of this year, so development of the halal industry will be well-coordinated and has a clear direction,” he explained. The minister noted that the development of halal industry in the country has run individually. Brodjonegoro opined that Indonesia should adopt a strategy to develop the large potential of its halal industry, so it will not merely serve as the largest market but also a significant producer. One of the obstacles faced in the development of the domestic halal industry is limited production and manufacturing capacity, he stated. “We are strong in the halal tourism industry, which is service-based, but our halal industry, which is product-based, has not been too strong,” he stated. The roadmap for the development of sharia-compliant economy is the expansion of the roadmap for the development of sharia finance by the National Committee for Sharia Finance. The committee is led by the president, with the Bappenas chief as its secretary. One of the objectives of the roadmap for the development of sharia economy is to ensure that there will be certain parties responsible for development of the halal industry. Hence, the halal industry will not run individually. Accordingly, there is dire need for cooperation between regulators and business agents. The roadmap for the development of sharia economy will also be able to develop halal products to support the sharia finance.